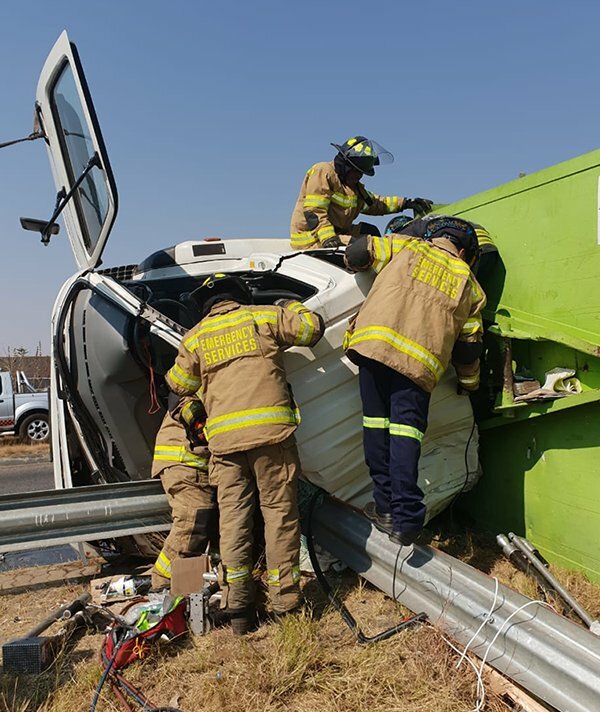 One person has been killed, and two others have been injured after the truck they were travelling in overturned on South Rand road in Alberton this morning. When ER24 paramedics arrived on the scene shortly after 11H00, they found the fire brigade busy with an extrication. Upon further assessment, it was found that two people were entrapped and had to be extricated using the jaws of life. Unfortunately, one of the patients sustained fatal injuries and was declared dead on the scene. The other patient sustained serious injuries. Another patient was found walking on the scene. He had sustained minor injuries. ER24 transported the patients to hospital for further medical care. The exact circumstances surrounding the incident were not known to our paramedics, but local authorities were on the scene for further investigations.